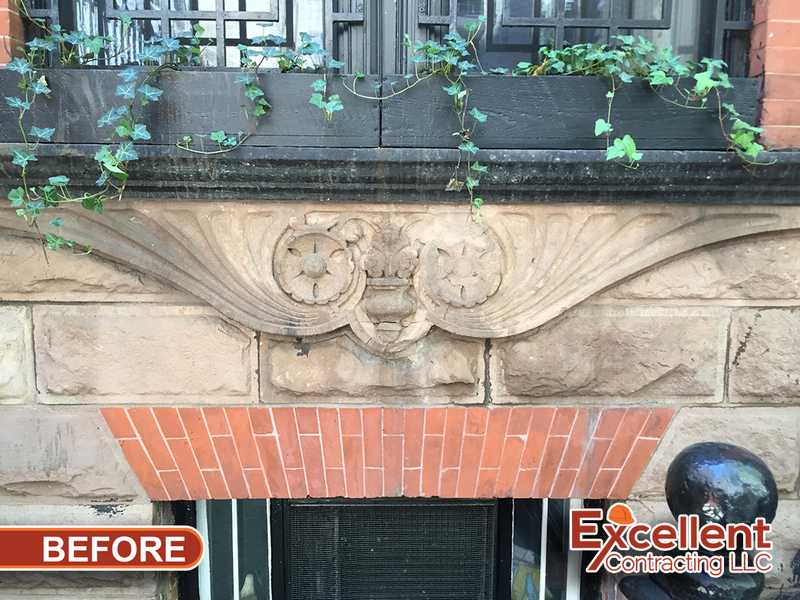 16 Henderson Place, Manhattan, NY – Excellent Contracting LLC. 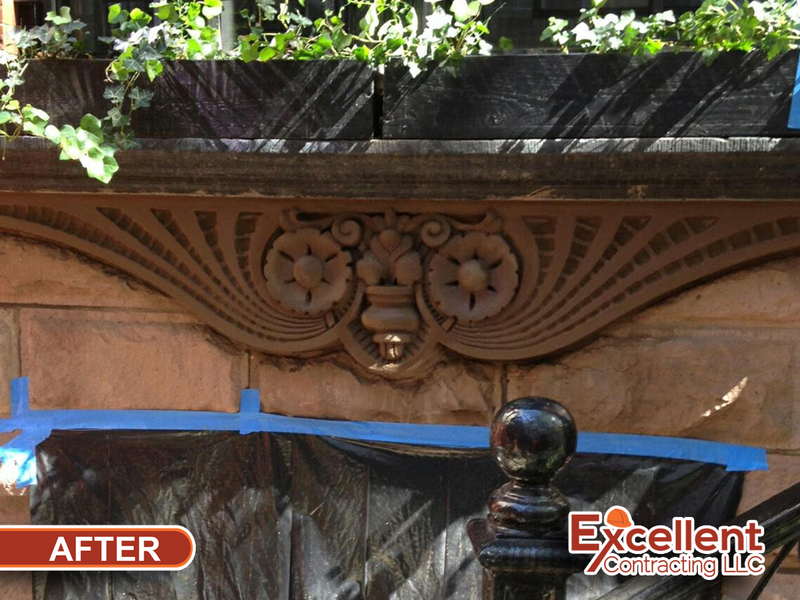 Decorative brownstone ornamental details were restored as per NYC Landmarks specification. 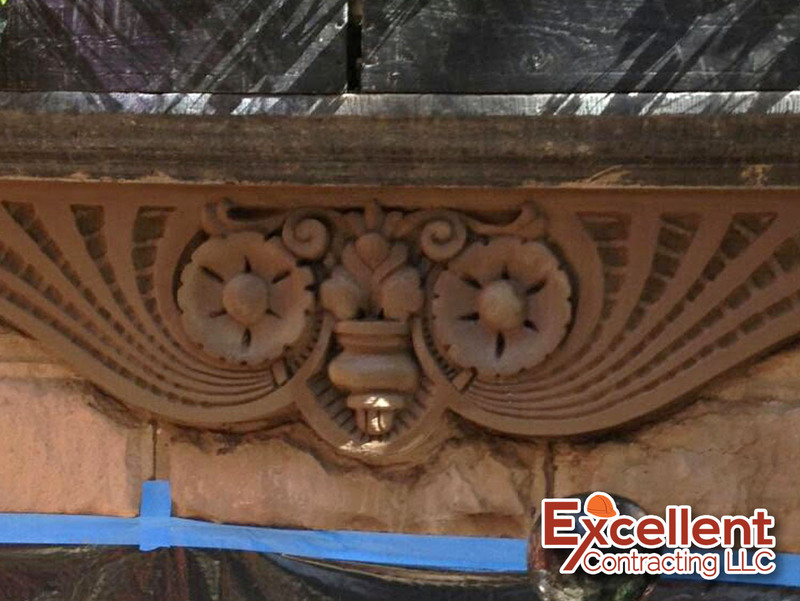 Landmark building in historical block.